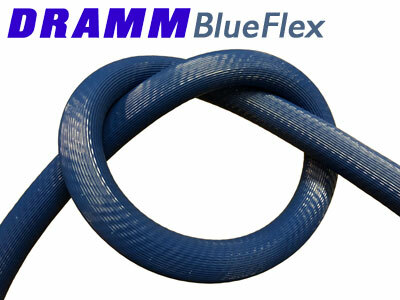 Dramm's BlueFlex Spray Hose is designed to be more flexible AND more durable than other spray hose. Because it is more flexible, it is easier to work with. The added durability not only increases its life, but reduces hose expansion when pressurized. BlueFlex Spray Hose is rated to 800 psi working pressure. BlueFlex Spray Hose is now shipping on Dramm MSO and Hydra spray equipment.